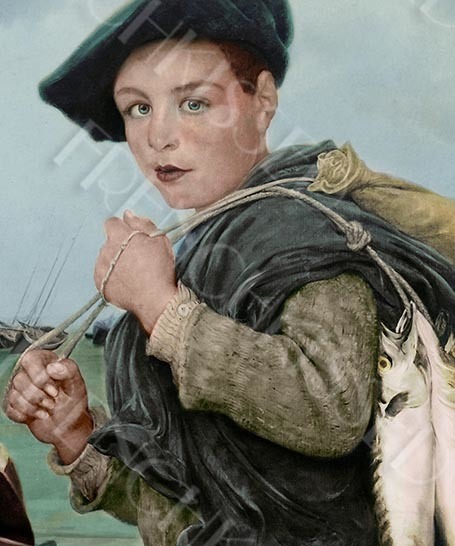 In the winter of 1909, French artist Lionel Royer submitted this painting of a boy carrying his catch of the day to the Salon de Paris art exhibition. 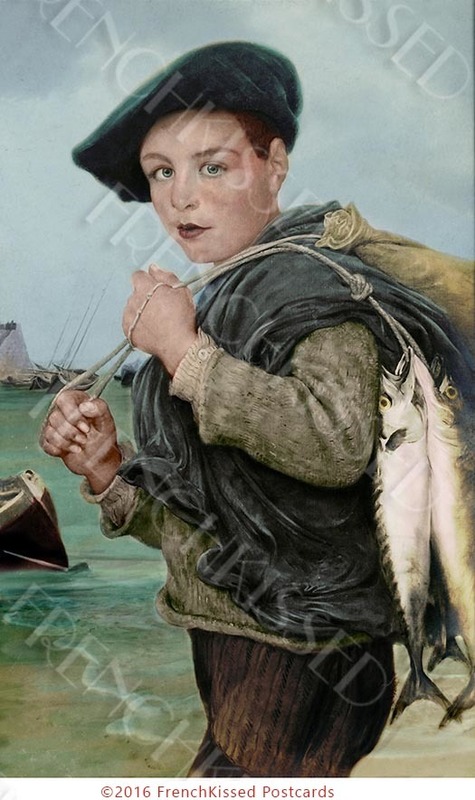 This is a rare image and my theory is that someone bought this piece of art and it's been in a private collection ever since. Since I have no way of knowing what the original color scheme was (see original postcard in photo 3), I went with my own choices. It was a humbling privilege to work alongside Monsieur Royer. I hope he doesn't mind that I added some Pacific ocean and Oregon coast sky to his Atlantic coast painting. 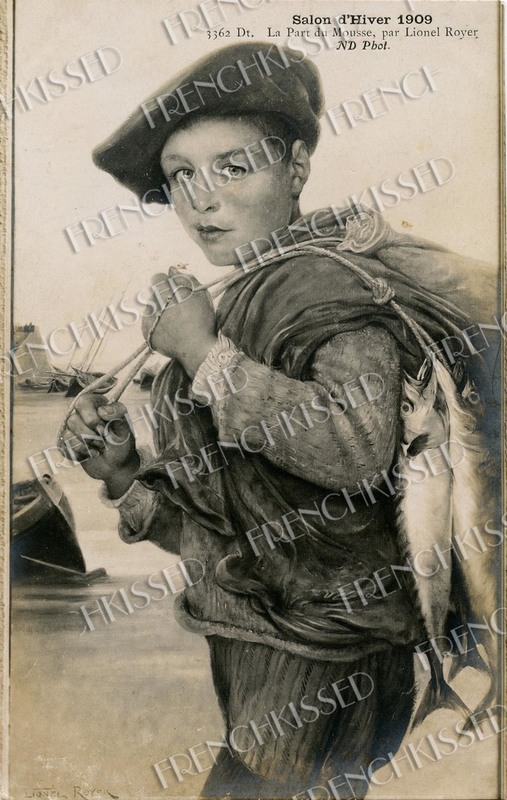 I say Atlantic coast because I am assuming this is a young Breton, perhaps fishing close to Mont St Michel, one of my top favorite France destinations. A perfect image to use for a Father's Day card or as a gift tag for a boy. 300 dpi at about 3.5 by 5.5 inches (typical antique postcard size). You'll receive an email with a link to the download (without the watermarks, of course!). It's easy peasy!